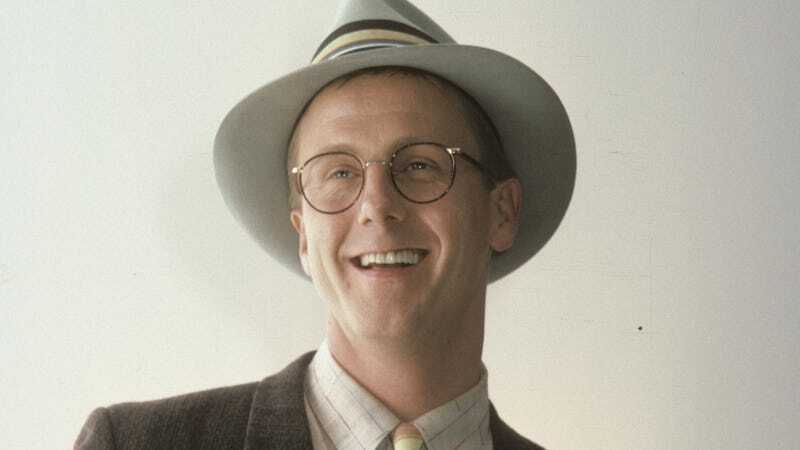 Harry Anderson, the actor and magician best known for his eight-year run as Judge Harry Stone on the NBC sitcom Night Court, has died. No cause of death has been listed, but local media is reporting that Anderson was found dead at his home in Asheville, North Carolina earlier today, and that “no foul play is suspected.” He was 65. Born in Rhode Island in 1952, Anderson was fascinated with magic from an early age. He continued to develop his skill after his family moved to Los Angeles, and after graduating from North Hollywood High School he moved to San Francisco, where he worked as a street magician. After hustling tourists on the streets for a few years, Anderson began performing magic on variety TV series like The Mike Douglas Show, The Late Show With David Letterman, and Saturday Night Live; the latter led to his role as con artist Harry “The Hat” Gittes on Cheers, which in turn led to a starring role as Judge Harry Stone on Night Court. Even if he never meant to become an actor, Anderson was successful at it. His affable, eccentric persona led to a starring role as the adult Richie Tozier in the 1990 TV miniseries version of Stephen King’s IT, then as a fictionalized version of humor columnist Dave Barry on the CBS sitcom Dave’s World (1993-1997). He also appeared in guest spots—both as himself and as fictional characters—on series like The John Larroquette Show and 30 Rock. Anderson’s last acting role was in 2014 in the faith-based film A Matter Of Faith, where he played a biology professor performing sleight-of-hand on his students by teaching them the evolutionary sciences. Unlike acting—which, as he maintained throughout his life, he could take or leave—Anderson pursued his true passion, magic, with fervor. He moved to New Orleans in 2000, where he opened a magic shop and a nightclub called Oswald’s Speakeasy, where Anderson frequently performed his one-man show, in the city’s famous French Quarter. (Both have since closed.) After riding out Hurricane Katrina, he and his wife Elizabeth left New Orleans in 2006 and moved to Asheville, where they remained until the end of Anderson’s life. He is survived by his wife and two children.